I may earn a commission for purchases made through links on MyLifeOutdoors.com at no extra cost to you. My opinions remain my own. I was planning a 4 night backpacking trip in the Pecos Wilderness when some friends and I began talking about summit packs. 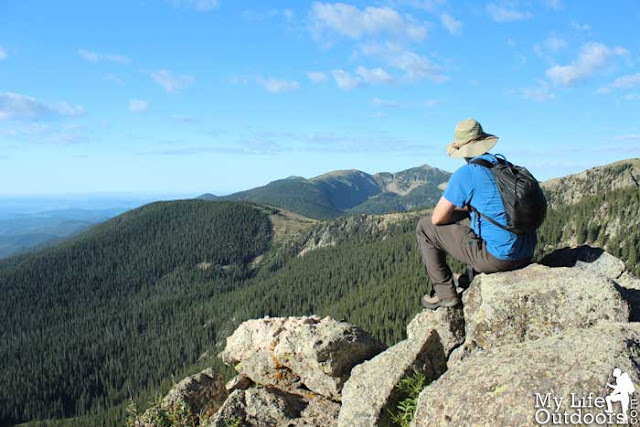 Our plan was to spend two nights at beautiful Lake Katharine and summit Santa Fe Baldy while we were there. Since camp would already be set up, there was no need to take a huge pack with me to the summit. Many years ago I did and overnight trip with a friend to Guadalupe Peak. 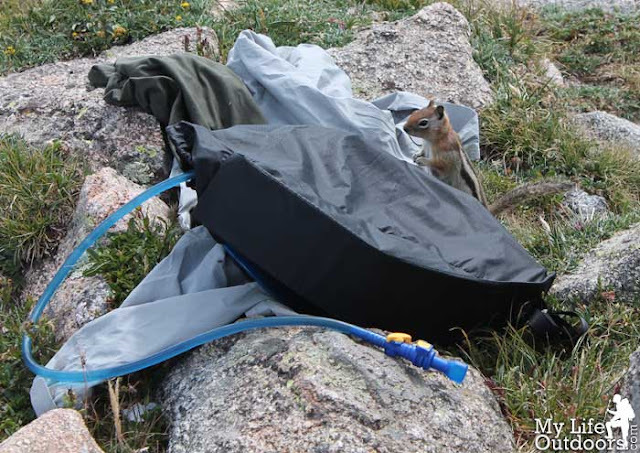 When we got ready to Summit, he pulled out a small stuff sack made by Lowe Alpine. 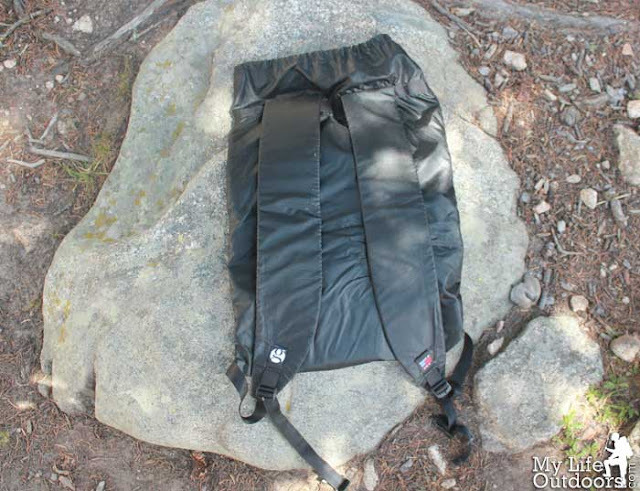 But this wan’t any ordinary stuff sack, it had shoulder straps so it could be used as a small daypack. I was very impressed with the design and multi use features. That little daypack/stuff sack stuck in my head for years. So when my friends and I started talking summit packs it immediately came to mind. I began scouring the internet to see if I could find one. I never found the Lowe Alpine pack, but I did find the RikSak by Gossamer Gear. I had heard a lot of good things about Gossamer Gear. 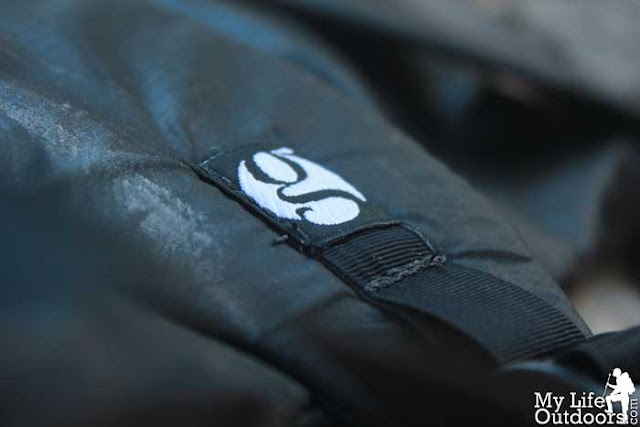 Many of the bloggers I follow on a regular basis are Gossamer Gear Trail Ambassadors. An honor I desire myself, but I guess I’m not ultra-light enough :-(. I ordered the RikSak off their website for $30 in just enough time for my trip. When it came in the mail I was immediately struck by how light it is. 2.2 ounces on my postal scale, but it feels even lighter than that in your hand. I was also struck by how wide the shoulder straps are. At 3 1/4 inches they are the widest straps on any pack I have ever owned. I’m not completely sure of the reason behind this, I assume the thick straps help disperse weight across your shoulders. A nice feature on a pack with no hip-belt support. When not used as a summit/day pack, the RikSak is a useful stuff sack. I like stuff sacks and use several to organize my gear inside my pack. At 15 liters the RikSak is one of my larger stuff sacks, but it proved useful in packing away my mid layers and extra clothes. At night I strung it up as a bear bag with all my food inside. Gossamer Gear’s website also suggests use as a pillow, which is an idea I hadn’t though of. When in my pack I turn the RikSak inside out so that the shoulder straps are protected inside the sack. I don’t want them getting snagged on other gear when I fish it out of my pack. On summit day the RikSak really shined. I was amazed at all the things I could comfortably carry. 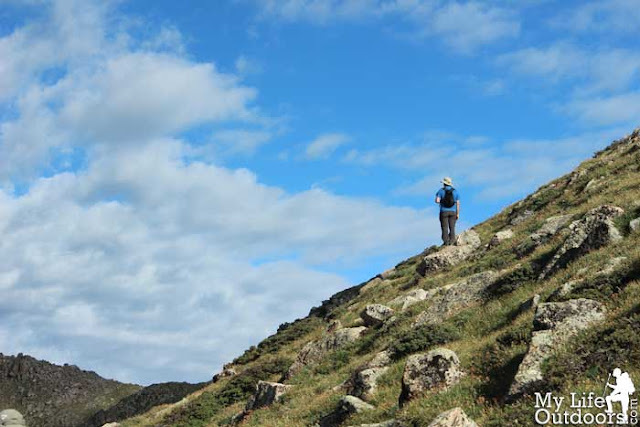 I had a first-aid kit, lunch, snacks, rain gear, Spot Locator, GPS and camera. I even threw in my 3 liter Camelbak (only about half full). I clipped the bladder onto the top of the sack, pulled the tube out through the top, and pulled the drawstring down tight. At first I thought I was going to be fighting the Camelbak (I know use Hydrapak) inside the pack all day, but it never gave me any problems. It worked just like a pack designed to be bladder compatible. Gossamer Gear really knows how to get the most out of their designs. 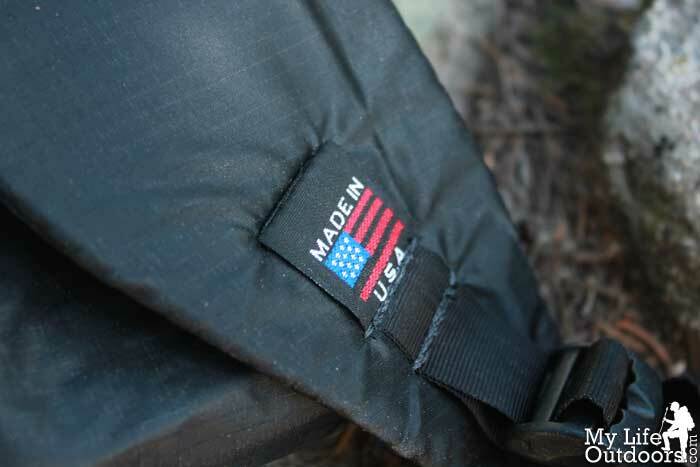 One nice feature added onto the RikSack is the dual purpose sternum strap. It consists of a simple buckle on the lose ends of the adjustable shoulder straps. Throw the RikSak on your back, pull the shoulder straps as tight as you want them, then fold the lose ends inward and buckle them together. The only downside of this design is how low the strap comes across your chest. Its seems more like a high belly strap then a sternum strap. But who’s complaining? It does the job, If they would have added an adjustable sternum strap it would have added more weight, which defeats the purpose of the RikSak to begin with. All in all the RikSak is an amazing, light weight, multi-purpose, day pack, that has earned a permeant place among my gear. Anytime you need a lightweight daypack, There is no reason not to bring it along. Good work Gossamer Gear. Sweet little review and pack. good work.